The info-beamer hosted has been updated and offers a wide range of additional features. The info-beamer hosted runtime environment provides any service the ability to control the connected monitor. It can be turned off and back on. Monitors that support CEC will be put into standby. If your monitor doesn't support this it will still mostly likely go into a sleep mode since the HDMI signal is turned off. Additionally the running visualization will be paused so the Pi itself uses less power. There is no way (yet) to configure these times for a device. It's currently the job of an installed Setup to use this feature. In the future each device might get a downtime configuration option on its device page. Please get in contact if you're interested in this. An info-beamer device needs a proper network environment. These days "free" WiFi networks often force a user to click through a website prior to using the network. These interactions cannot be easily automated, so info-beamer hosted doesn't support these networks. But it will now detect them and offer help. Most of the time, such a network also offers another way of authenticating. Previously info-beamer hosted only supported WPA2 PSK type network environments. With the new version you should be able to configure almost any type of WiFi network using a wpa supplicant configuration file. You can now download a Device Connect key file from your account page (make sure you enable Show advanced/developer options on the same page). The downloaded file can be placed on a new info-beamer hosted SD card as /config/device-connect-key.txt. When such a device boots for the first time it will automatically register itself with your account. So you don't have to type PINs like your normally would. This feature can be used to "pin" a device to your account. So even if you accidentally delete a device from your account, it will automatically re-register. It can also be used ensure that a customers device is automatically added to their account without any action required on their side.  info-beamer is the core of what's running on an info-beamer hosted device and has been updated to the latest 0.9.6 release. The running syncing process on the info-beamer hosted devices will now monitor additional logs to verify that everything is working as intended. Should the info-beamer process (responsible for displaying content on the screen) ever crash or get stuck for any reason the device will now reboot if deemed necessary. Normally this should never be required as info-beamer has no known bugs that cause it to crash. So if you ever see your screen rebooting please get in contact so the problem can be fixed. The welcome screen shows multiple icons in the bottom right corner. These allow you to quickly confirm that the network environment is working correctly and info-beamer hosted is ready to go. After a few seconds all icons should turn green. Have a look at the installing hosted documentation for more information. 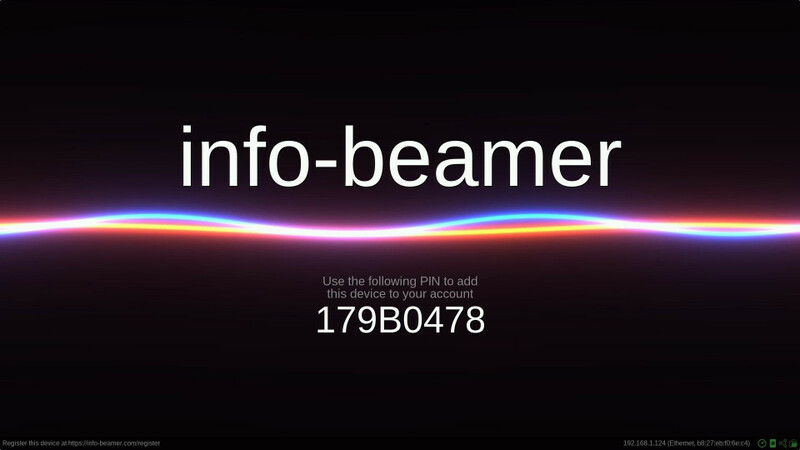 Your devices always try to be connected to the info-beamer.com website. That way you can instantly control them and see their current output. On unreliable networks this connections sometimes runs into long timeouts or other problems. This new release improves the situation by adding additional checks that catch network problems faster than before. The connection to the info-beamer.com website is more reliable now. Once a device is updated to this release you can better see if it is showing the configured content. On the device list you'll see a green check mark next to each device. Once that's visible you know that the device is completely synced and showing the configured content. Slow and unreliable networks might cause delays. All Setups you install on a device might use services to interact with the outside world. info-beamer has always let those services run as a separate user to ensure that they can't interfere with the running system. Starting with this release all services now run in their own sandbox by default to further improve device safety. A running service won't be able to accidentally harm a device. Services that require unboxed access must specify this in their permissions setting. On request, a hosted device can now completely recreate its boot partition to a well known state. Clean up leftovers from previous failed system update attempts. For debugging purposes info-beamer hosted now automatically stores a snapshot of the boot screen in /tmp/boot.jpg. info-beamer hosted can now preload system updates. This can be used in the future to reduce the time spent downloading updates when rebooting. If a device isn't able to get the correct system time using NTP it will fall back to fetching the time using HTTP after two minutes. It will still continue to get a more precise time using NTP. Support for hidden access points: You can now specify an access point that is configured as hidden. Your device will still detect and connect to it.